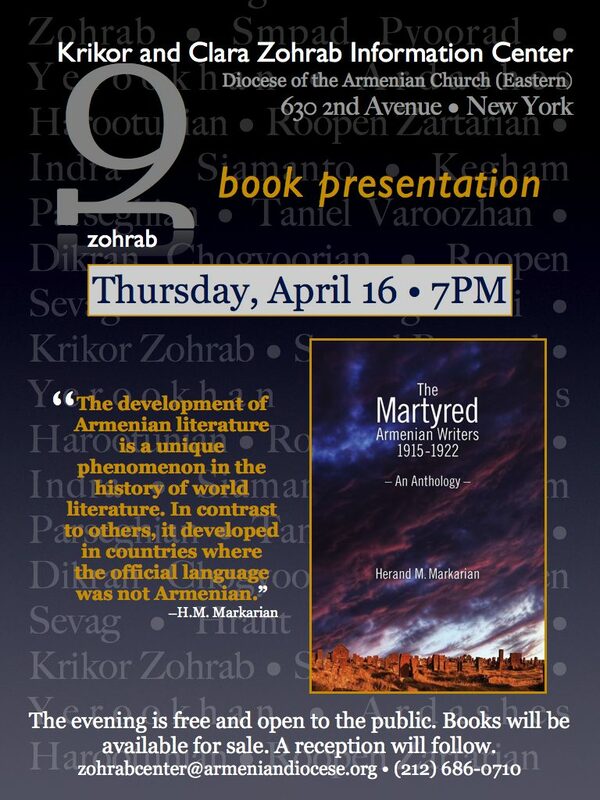 Dr. Herand M. Markarian will present his new book, The Martyred Armenian Writers 1915-1922: An Anthology at the Zohrab Center on Thursday, April 16 at 7PM. A particularly fitting tribute during this centenary year of the Armenian Genocide, Markarian’s book surveys the lives and writings of 13 authors who perished during that cataclysm–several of them precisely on the night of April 24, 1915, when they and other community leaders, intellectuals and clergy were rounded up from Constantinople and deported, never to be seen again. Organized in three parts, the book includes general introductions to 19th-century western Armenian literature and to the Genocide. The weight of the book is in the third part, which contains short biographies of some of the most beloved Armenian writers of the era, along with a bibliography of their writings. Dr. Markarian has also provided a sample of excerpts from each author, all translated into English. 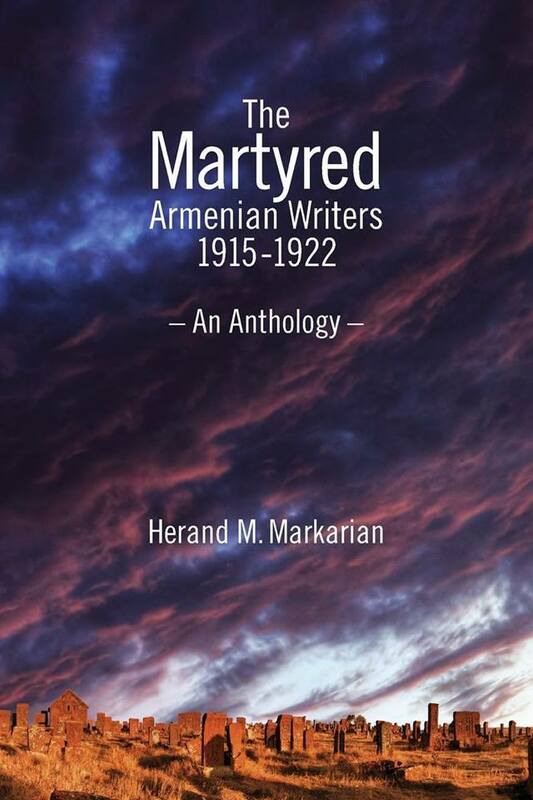 Dr. Herand M. Markarian must be considered one of the most accomplished Armenian literary figures of our day. He will present his latest book, a survey of Armenian authors who perished during the Armenian Genocide. 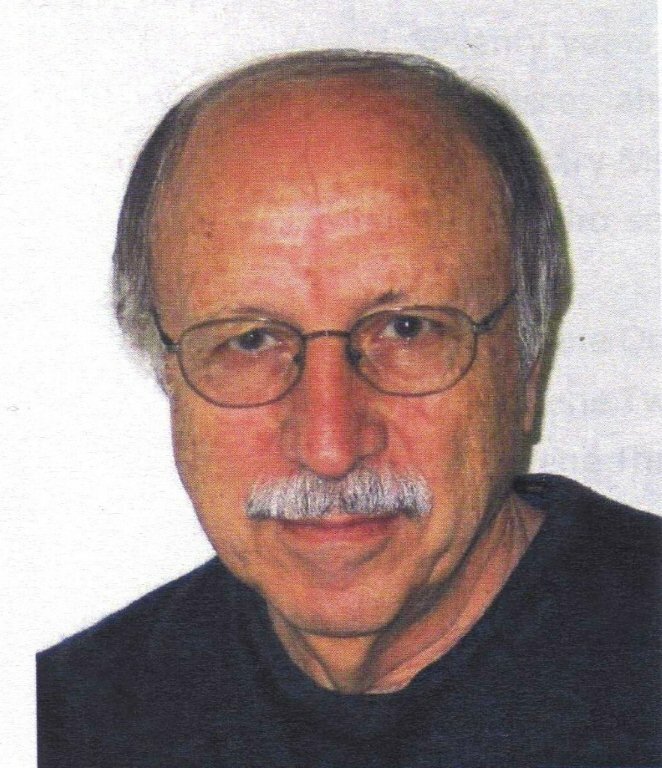 Herand Markarian is a scientist, professor, playwright, poet, director, actor, literary and theater critic, and translator. He was born in Basrah, Iraq. He has authored 26 plays and 13 books. As a director he has 53 plays to his credit, while he has acted in 50 others. The book presentation will take place in the Guild Hall of the Armenian Diocese, 630 2nd Avenue, New York at 7PM. It is free and open to the public. A reception will follow the presentation, during which books will be available for sale. So interesting …tHANK YOU FOR THE INFORMATION.